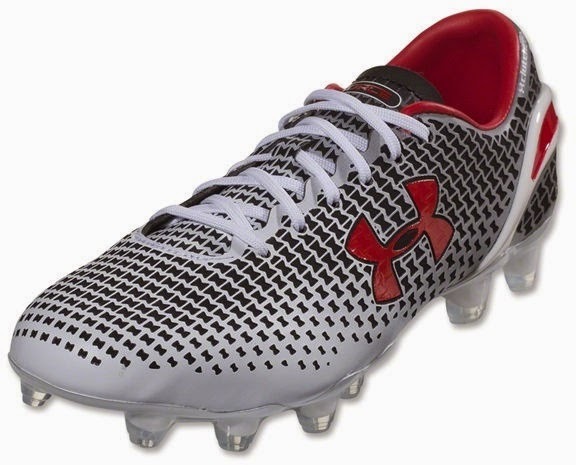 Under Armour is making a huge push in the football boot market and part of their push was getting USMNT player Jermaine Jones to sign with them, when you add to that the impact they have had with Tottenham Hotspur of the Premier League, they are right on track to have a very good 2015. Their new release for 2015 is the Clutchfit Force boot, which comes in white, red and black colors. The new boot is being released in North America this month but there is no confirmed date for when will it be available elsewhere. The design is very slick and modern. The colors chosen for this boot add to the look and make it a real eye grabbing boot. The texture of the boot and the 4G foam insole add not only to the look but also to the comfort of the player wearing them. The MicroG lining is one of their trademarks when it comes to football boots, and why change something that has worked so well. They have also created a stud design that provides great traction with a minimal amount of studs being used. 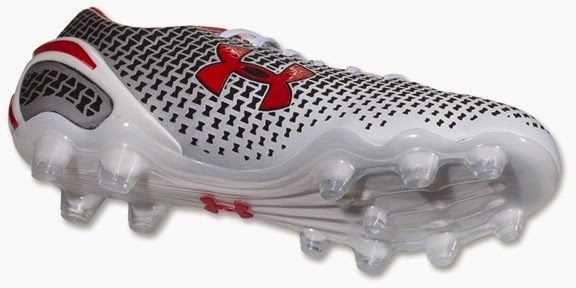 The new Under Armour Clutchfit Force will be one of the boots to keep your eyes on as we roll in to 2015.